A reliable source for Magnet Assemblies information and a resource for accessing leading Magnet Assemblies and suppliers. A magnet is defined as an object or piece of material that generates a magnetic field. The magnetic field is moving electrical charges that cause other magnetic objects to either be attracted to or repelled from the magnet. A tool or system that utilizes magnets or magnet combinations to perform a specific type of function is known as a magnetic assembly. Magnetic assemblies are used to do specific kinds of holding, lifting, or separation of magnetic materials. The force of the magnetic assembly can be increased by combining certain types of magnets in assemblies. Magnetic assemblies can have many customers in the industrial and manufacturing fields. The functions they perform include mounting, holding, water treatment, and the lifting of sheet metals and metal parts. Magnetic assemblies can also be used for light duty paper holding, as is the case with fridge magnets. Other systems and products that extensively use magnetic assemblies include electric motor activation, eddy current use, blood testing and separating, linear actuators, ignition timing systems, power meters, welding equipment, TV monitors, sensors, sound speakers, MRIs, automotive, electronics, biomedical, aerospace, film and software disk programming, and erasing. Magnet Assemblies A magnet is defined as an object or piece of material that generates a magnetic field. The magnetic field is moving electrical charges that cause other magnetic objects to either be attracted to or repelled from the magnet. A tool or system that utilizes magnets or magnet combinations to perform a specific type of function is known as a magnetic assembly. WE are the magnets experts. 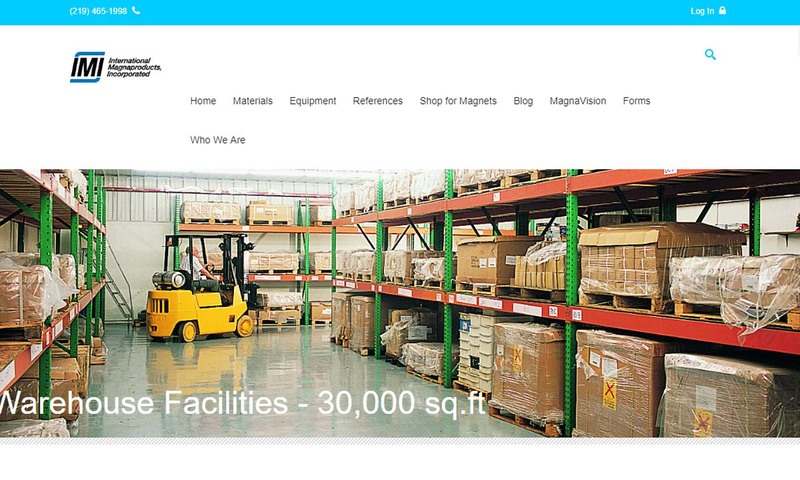 Since 1976, we have provided our customers with everything they need in the realm of magnets. We are a full service provider, and we offer a huge inventory of products, high quality materials, and cost-effective shipping. Our customers know they can trust us to provide them with the best magnets in the industry. We supply magnets from only the best manufacturers in the world. We will not offer substandard products or anything that is not the most cost-effective solution. 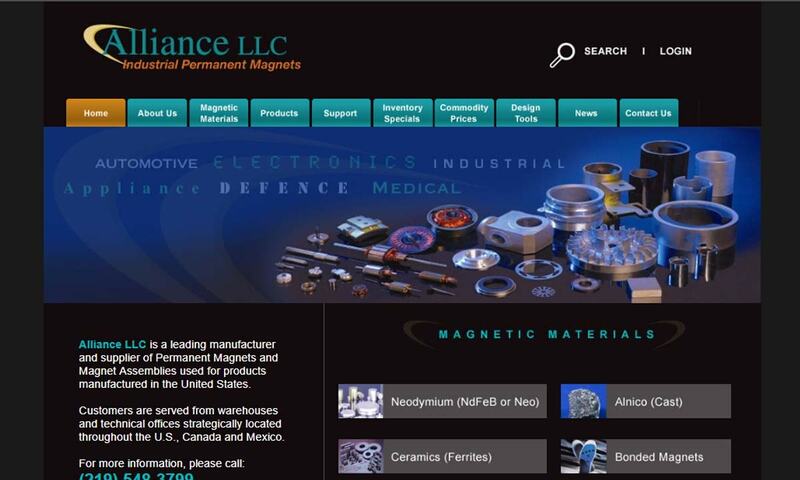 Alliance LLC is one of North America’s largest suppliers of magnetic materials. 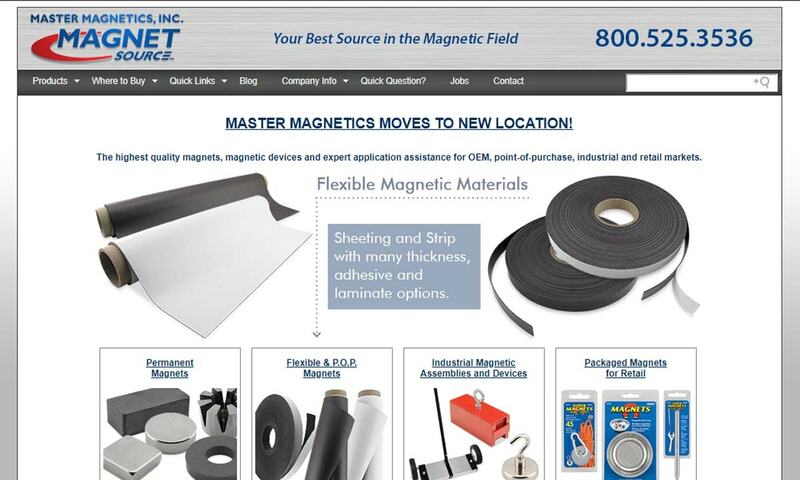 Our wide range of magnetic materials, along with a state of the art technical center, means you are in good hands! Modern magnet assemblies are descended from lodestones, the naturally magnetized pieces of iron ore than ancient people used as compasses. The earliest lodestone compasses were used by the ancient Greeks, by ancient Chinese mariners, and by the people of ancient India. The word magnet entered the English language as a member of late Middle English. It was adopted from the Latin word magnetum. It had reached this level of celebrity because by the 12th and 13th centuries, mariners all over the world were using magnetic compasses. While they used magnetism, though, they did not necessarily know how magnetism actually worked. The first person to study magnetism at length was William Gilbert, who in 1600, discovered how temperature affects magnetism, as well as some ways to make magnets. He even discovered that the earth is magnetic. He published his findings in his paper De Magnete, Magneticisque Corporibus, et de Magno Magnete Tellure (On the Magnet and Magnetic Bodies, and on the Great Magnet the Earth). In 1819, Danish scientist and professor Hans Christian Ørsted accidentally discovered that you can create a magnetic field when you place a magnet near an electrical current. After that, many other scientists conducted experiments of their own to learn more about magnetism and electromagnetism. Based on their discoveries, scientists and engineers of the 1800s were able to create some simple magnet-dependent machines and basic electromagnetic generators. During the 20th century, after discoveries by scientists like J.J. Thomson and James Clerk Maxwell, engineers were able to create more modern magnetic assemblies. Superconductor magnets, for example, were theorized in 1911, though they were not made properly until 1954. Things really took a turn in the late 20th century, when scientists discovered rare-earth magnets. Rare earth magnets are among the most powerful industrial magnets. In 1982, a team of scientists of General Motors and Sumitomo Special Metals developed the neodymium magnet as a more cost-effective alternative to the samarium–cobalt magnet. Since the discovery and development of rare earth magnets, magnet manufacturers have been able to create much more powerful and diverse assemblies. In 2010, manufacturers harvested over 129,000 metric tons of rare earth metals. Today, custom magnet assemblies are extremely important elements in our world, as they help power machines, electronics, cars, airplanes, medical devices, and more. Different types of permanent magnets are made from a variety of materials and will have their own set of characteristics. 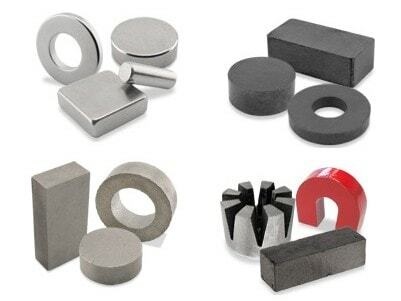 Materials commonly used during magnet manufacturing include sintered ceramic powder composite (iron oxide, ceramic powder, and either barium or strontium), alnico alloys (composed primarily of aluminum, nickel and cobalt), and rare earth elements like neodymium iron boron (NdFeB) and samarium cobalt (SmCo). To make magnet assemblies, manufacturers may put the materials through a few different processes. Ceramic magnets, for example, can be extruded, compressed, or sintered into a multitude of shapes. There are several properties that magnet manufacturers take into consideration when fabricating magnets. These properties include porosity, ease of fabrication, magnetic retention under heat and corrosion, magnetic strength, and cost. For your benefit, manufacturers can make custom magnet assemblies. Learn more about custom magnets by talking to your supplier. Magnets come in a variety of types, with varying degrees of magnetic strength, resistance to heat, permanence, and tolerance of corrosion. Magnets can be categorized into two main groups: permanent and non-permanent. From there, they can be divided into smaller groups, such as electromagnets and superconductors. In addition, many magnet assemblies can be categorized by their composition. Examples include ceramic magnets, alnico magnets, rare earth magnets, samarium cobalt magnets and neodymium magnets. Finally, magnets can also be defined by their shape or application. Magnets relegated to a specific industry or application include sheet magnets, bar magnets, strips, and bipolar assemblies. Permanent magnets maintain their magnetism without the assistance of outside forces, and they generate neither heat nor electricity. They are the most common type of magnet. Non-permanent magnets are triggered by an external power source, namely strong magnetic fields. Used in electronics, they are typically made from ferrous materials. Electromagnets, or electro magnets, also require triggering from an external source of power to be magnetic. In their case, this external source is the magnetic field produced by electric currents coursing through tightly wound wire coils. They can be turned on and off at will. Electromagnets are used in numerous industrial applications, including solenoid valves, biomagnetic separation, AC and DC motors, and electric transformers. Superconductors are the strongest type of magnet. Unlike the others, they do not have a metal core and they must be cooled at a low temperature. They are used primarily with heavy-duty machinery such as MRI machines or magnetic separator machines. Ceramic magnets, also known as ferrite magnets, are a type of permanent magnet. They have a low amount of magnetic power and are very brittle and are more easily prone to breakage compared to other magnets. Despite this, ceramic magnets are very cost-effective, and are used in applications such as magnetic tools, magnetic chucks, and motors. Alnico magnets are also permanent magnets. They slightly more expensive than ceramic magnets. These strong magnets are similar to ceramic magnets, except that they are less brittle, have higher magnetic resistance, and can be more easily shaped. Rare earth magnets have higher manufacturing costs than ceramic magnets. However, they are much more powerful and are much more likely to retain their magnetism. Rare earth magnets are typically costlier than their non-rare-earth counterparts due to the scarcity of rare earth materials and the lengthy process of the extraction of the materials from lanthanide ores. Rare earth magnets are utilized as industrial magnets, and are used for applications including MRIs, testing, sensors, speakers, motors, holding, and lifting. Types of rare earth magnets include samarium cobalt magnets and neodymium magnets. The elements samarium and neodymium both contain outer f-electron shells that are partially filled, and act as a powerful source behind their magnetic fields. Samarium cobalt magnets are made of a combination of cobalt and samarium and are known for their high resistance to corrosion and demagnetization. Another key characteristic is their thermal stability, as they remain stable up to 550℃. For this reason, samarium cobalt is used in applications that involve exposure to extreme heat, like medical tool use and motors. Neodymium magnets have a stronger magnetic pull than any other type of magnet. They are also harder than ceramic magnets. Despite their powerful magnetic force, they are much less resistant to heat and corrosion than others. These magnets are made from a composite of boron, iron, and neodymium. To combat their brittleness, neodymium magnets are coated with nickel. Sheet magnets are composed of a ferrite-plastic composite. To make use of the composite material, manufacturers extrude it into a magnetic sheet and cut it into magnetic strips of flexible rubber material. Sheet magnets are commonplace in the automotive and consumer industries. Bar magnets are the most common type of magnet. They are made from ferrite metal materials and are shaped as a narrow rectangle or bar. Strip assemblies are made up of thin rubber magnet pieces that are coated with adhesives. They are used on irregular surfaces. Bipolar assemblies are heat resistant assemblies used for items that require assistance with wide alignment or holding. Aside from being essential parts of many technologies, magnet assemblies offer many general advantages. First, they offer a means to quickly sort and separate metal materials. They can quickly separate ferrous materials like stainless steel and carbon steel from non-ferrous materials like copper and aluminum. Second, they lower your maintenance costs and prolong the working life of your products. They do so by preventing damage and reducing wear and tear. For example, they can prevent tire punctures. Finally, they block contamination by attracting and holding magnetic and ferrous materials in storage and on production lines. Common magnetic assembly accessories include adhesives, connectors, covers, and ferrous components. When you go to use or handle your magnet assemblies, it’s extremely important that you and your staff adhere to some strict safety protocols. First, you need to wear both gloves and goggles. Gloves are important because they protect your skin from the cuts and abrasions that could otherwise occur if you mishandled the magnets or if the magnets shattered. Goggles protect your eyes from magnet shards and machining sparks. Second, you must never enter the assembly workspace if you have a pacemaker. This is because magnet assemblies can interfere with or damage any electronic devices. Entering an assembly space while using a pacemaker could prove deadly. Along those same lines, do your best to keep all electronics away from the magnets. In addition, if you plan on transporting your magnets, be aware that they could interfere with the navigation system or adhere themselves to magnetic surfaces. To avoid this, take measures to encase your assembly in an isolating container. Finally, if you have allergies to metal dust, you should be careful of inhalation. Wearing a protective mask will help deter inhalation of magnetic dust. If you or one of your employees suffers from a contact allergy, you will need to take further measures, such as using protective clothing, or staying out of the area altogether. To make sure your magnets last a long time and function properly, you need to engage in a few maintenance routines. First, if your magnets support loads, we recommend you regularly test them to make sure they are still able to support it. Second, you need to regularly clean and decontaminate them. Every magnet is different, so it’s a good idea to discuss the type of cleaning and the cleaning materials you should use with your particular assembly with your supplier. If you’re searching for a magnetic assembly, you need to partner with a custom magnet manufacturer who you can trust and who understands your needs. 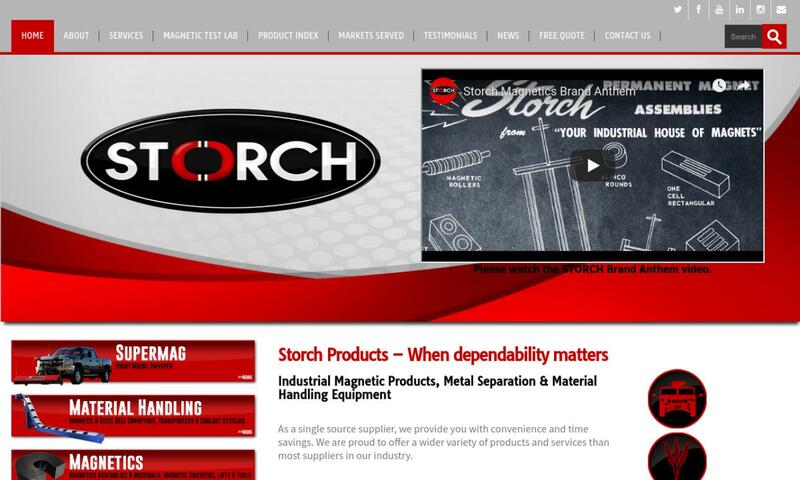 Find a manufacturer like this by checking out those whom we’ve listed on this page. All of those we’ve listed are industry leaders with excellent track records to back them up. As you browse, keep in mind your requirements, including request volume, custom magnet requirements, budget, schedule, and delivery preferences. Choose three or four suppliers who appear to best match your needs. Then, talk to each of them at length about your application. Once you’ve done that, compare and contrast your conversations.  Determine which manufacturer is the best for you and get started.